Once the installation is done, every new post is turned into a forum thread on the Disqus site. 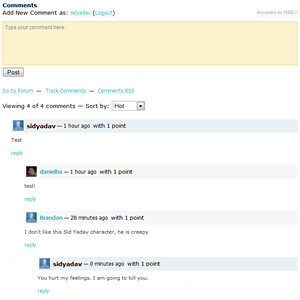 The comments posted over there mirror on the corresponding post on your blog, and vice-versa. 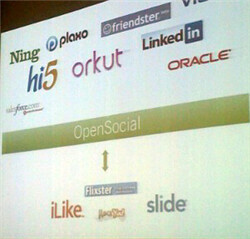 Users can also start new threads and participate in their own discussions. 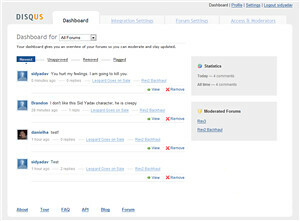 And to top off the forum atmosphere, the creator can assign users as moderators, create sub-forums, skin the look and feel, and delete/maintain any unwanted posts. Did I mention? 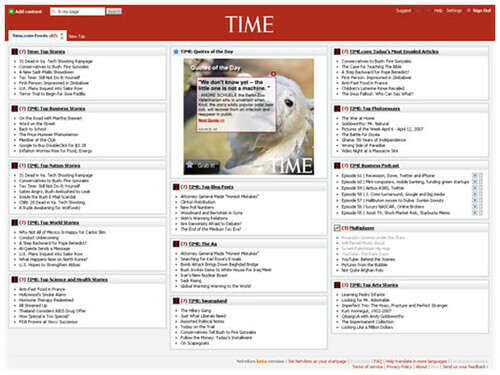 RSS feeds for all! Something I love about Disqus is that it doesn’t merely replace your existing commenting system but adds a whole lot of value to it. To begin with, commenters have an identity wherever they comment, the comments can be threaded, user ratings are enabled a la Reddit, and by switching to Disqus, you don’t lose spam filtering options but gain some — Disqus employs Akismet in the backend, in addition to other things. In all obviousness, it makes a great commenting system, but it’s more than that. Avid commenters on blogs will find the site a great way to keep track of their comments and discussions, not to mention it as a starting point for their commenting habits instead of visiting 15 separate blogs every day. Sites and blogs will be able to use it to prosper their existing communities and enable an interactive meeting point. Despite its minor faults, Disqus pulls through. At the very least, this is the kind of a commenting system every blog should employ.